The small, discrete Visit Pager Receiver gives you the freedom to roam without missing an alert. 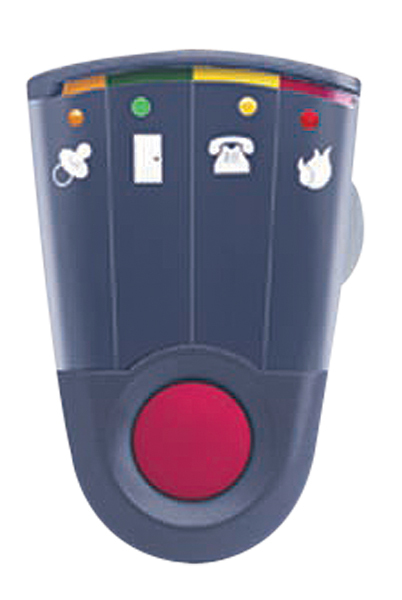 The Visit Pager Receiver gives you the freedom to move about freely and never miss an alert. Clip it to your belt or put it in your pocket. The battery-operated portable unit connects to a variety of Bellman Visit transmitters and expands the coverage area of your base transmitter by 28 metres (95 feet). Four distinct icons and variety of vibration patterns and light signals alert you to different alarms. The receiver uses one long-lasting 1.5-volt alkaline battery (included). An optional battery charger and 1.5-volt rechargeable battery are available.